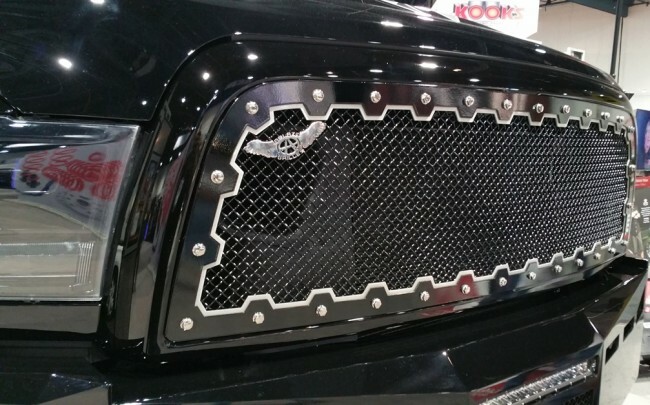 Here we have our popular Double Framed Grilles now in the Brute Frame Edition. The precision laser cut frame extends to Inch and a half around each of the real bolts to give it a unique, studded look. 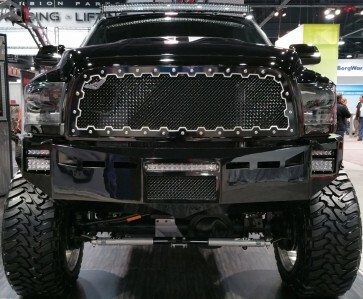 Outer frame and Mesh is powder coated to a High Gloss Black and the inner Stainless Frame is powder coated in a matte clear, to finish it off, Real Stainless Bolts and hardware to provide a truly unique Grille.